Please read about our shipping policies here. Free shipping on small tools includes all of the USA including Alaska and Hawaii. Free Shipping on Glazes also includes Alaska and Hawaii except for glazes that ship in pails and gallons. Kilns, Wheels and other equipment marked free shipping is for the lower 48 only. We will have to calculate freight for equipment going to Alaska or Hawaii. Some restrictions may apply when shipping freight to hard to reach places such as islands, extreme rural areas, restricted access locations, and metropolitan areas such as NYC, Chicago, LA etc. Free Shipping does not apply to any international orders. PLEASE CHECK YOUR DELIVERIES CAREFULLY. Shortages and damages not reported to us within 15 days are not allowed. Exposed or damaged goods must be noted and signatures of consignee and driver are required on the bill of lading. No credit will be given on merchandise returned without our authorization and invoice number. No returns will be accepted 60 days after receipt of purchase. IF MERCHANDISE IS RETURNED FOR ANY REASON OTHER THAN DEFECTS OR OUR ERROR, A 15% RESTOCKING FEE PLUS SHIPPING WILL BE CHARGED. Free Shipping items that are returned will be charged for shipping in both directions. Some direct shipped goods may be subject manufacturers restocking fee which may be greater than our 15 %. NO CASH REFUNDS - CREDIT ONLY. Shipping will be UPS ground in most cases. Shipping charges cannot be calculated by our system at this time: you will be able to select whether you want us to contact you with your total including shipping before charging your card or you can select that we go ahead and charge you the best possible shipping. Handing Fee: $4.00-$24.00 : There is a $4.00/box handling fee for non-clay items: A box is 5.5" x 10" x19". We will pack as much as is safely possible in each of your boxes. Your handling fee will not exceed $24.00 even if you have more than 8 boxes. This handling does not include the shipping cost. We ship our UPS and Mail orders as quickly as possible, however if you need your order immediately, we do offer to ship your order by next business day for a rush fee of $10.00, plus the cost of expedited UPS shipping. DROP SHIPPED ITEMS: Some items are shipped right from the factories. On those items, expect to see two charges on your credit card: one for the goods and one later when we are notified of the shipping. There is a $25 minimum on internet orders. Net 30 customers: There is a $50.00 minimum for house charge orders. Option #1 : We will package and weigh your order, and e-mail you with the exact shipping charges and your order total. We will HOLD THE ORDER until you e-mail us a confirmation to release the order. Upon receipt of your confirmation, we will ship your order, and charge your credit card for the agreed on total at time of shipment. This will add 1-2 days time to the receipt of your order. Option #2 : We will package and weigh your order, ship it, (without confirming the shipping amount) and charge your card for the total at time of shipment. We will give you the lowest possible freight, UPS or Mail rate available. *Free shipping offers are restricted to the lower 48 states. Other restrictions may apply in some hard to reach areas such as Martha's Vinyard. 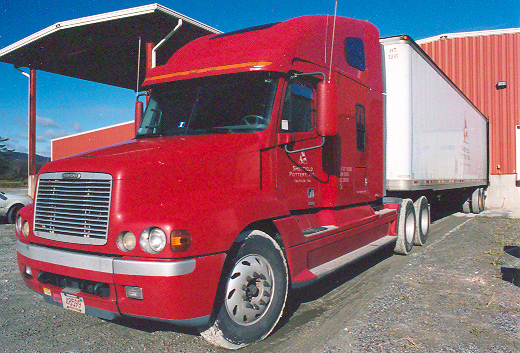 PLEASE FEEL FREE TO GIVE US A CALL FOR FREIGHT ESTIMATE BEFORE YOU ORDER ! We will unload the equipment and bring it inside. We will set up the equipment in its desired location. We will remove all packing debris. If a kiln with venting system is ordered we will mount the vent to the kiln and drill/modify the kiln for proper operation. We do not mount the wall-mounted vents. We do not cut holes in walls or ceilings. We will attach the vent pipe to existing ductwork. The ductwork must be in place at the time of the kiln installation and properly located so that the flex-pipe from the vent will reach it. We do not extend the building's ductwork to reach the kiln. We do not make any electrical hook ups. Your order total does not include shipping/Handling fees unless you are ordering only a product that is clearly marked: "Free Shipping" or "Fixed Rate Shipping". "Confirm total with shipping before charging my card" (in which case we will contact you with the total for your approval. 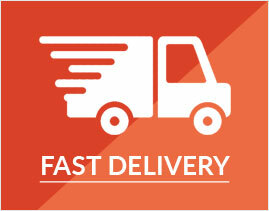 We will HOLD THE ORDER until receipt of your confirmation.This will add 1-2 days time to the receipt of your order. Since we offer such a large assortment of items that can be ordered on line, that range in size from a sponge to a car kiln, we feel that it is in our customer's best interest to calculate the exact shipping charges on each order, rather than try to develop a blanket policy to cover every order. If you Choose to Pick Up Your Order In Person, there will be 6.25% Ma State sales tax added. Orders may be picked up Monday through Friday between 8:30 am. and 5:00 pm. when ordered at least 24 hours in advance. The warehouse is closed on weekends. However, special arrangements or appointments may be made to pick up orders on weekends. ALL DRY MATERIAL, CHEMICAL, OR EQUIPMENT ORDERS MUST BE CALLED IN BY 12 NOON ON FRIDAY FOR WEEKEND PICKUPS. There is a $4.00/box handling fee for non-clay items shipping UPS or US Mail. This does not include the price to ship. A box is 5.5" x 10" x19". We will pack as much as is safely possible in each of your boxes. Your handling fee will not exceed $24.00 even if you have more than 8 boxes. DROP SHIPPED ITEMS: Some items are shipped right from the factories. On those items, expect to see two charges on your credit card one for the goods and one later when we are notified of the final shipping. New customer purchases are C.O.D. or Visa/Mastercard/Discover ($25.00 minimum). Schools and organizations need a signed purchase order. Net 30 open accounts may be established by regular customers. For each month an account is past due, a 1.5 % finance charge will be assessed. All customers orders shipped by Sheffield Pottery trucks are subject to their state's sales tax (except those customers with a tax exempt certificate on file). Taxable customers within Massachusetts will be assessed 6.25% sales tax on their orders that are picked up or shipped via Sheffield Pottery Trucks, Common Carrier and U.P.S. All prices are subject to change without notice. Schools and organizations that require firm prices on purchase orders, please call for current price listings. We welcome school bids and quotes. -We reserve the right not to honor any published prices or programs that are determined to be erroneous due to printing, electronic or clerical error. -We are human and do make mistakes but we will never purposefully publish a false or deceptive price! -The manufacturers of the equipment we offer, all reserve the right to change their prices and offerings without notice. They usually try to give us some warning when a price change is coming but they are not required to. -We will always be happy to confirm a price before you order... just give a call or email us. Items that are out of stock at the time of shipment are not automatically backordered. PLEASE CHECK YOUR DELIVERIES CAREFULLY. Shortages and damages not reported to us within 15 days are not allowed. Exposed or damaged goods must be noted and signatures of consignee and driver are required on the bill of lading. No credit will be given on merchandise returned without our authorization and invoice number. No returns will be accepted 60 days after receipt of purchase. IF MERCHANDISE IS RETURNED FOR ANY REASON OTHER THAN DEFECTS OR OUR ERROR, A 15% RESTOCKING FEE PLUS SHIPPING WILL BE CHARGED. NO CASH REFUNDS - CREDIT ONLY.